I've mentioned Rejuvenation's reproduction mid-century door knobs and their reproduction mid-century bathroom hardware in the past. 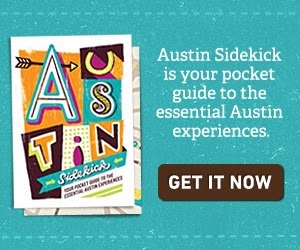 And their site is quickly becoming one of my favorite's to daydream at, especially the Mid-Century Modern collection. 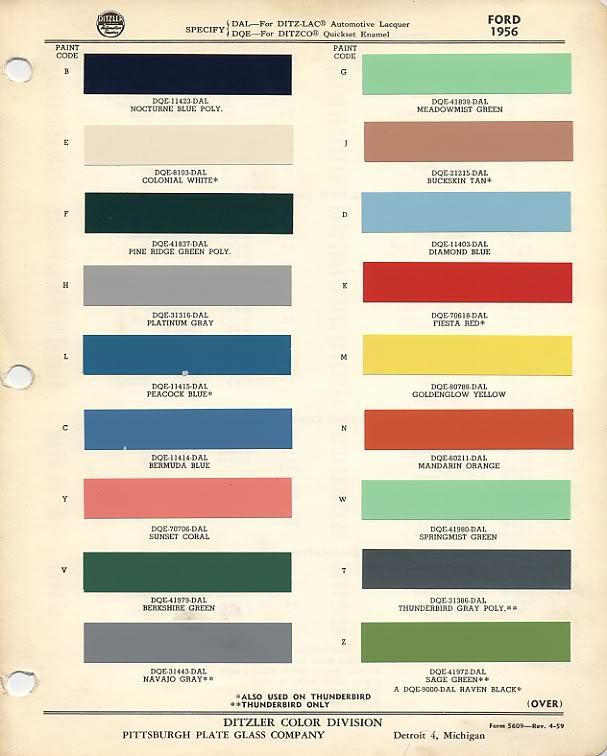 Rejuvenation's industrial designer recently wrote about how he selected the modern paint colors for their lighting line: using the 1956 Ford Thunderbird paint palette as a basis. 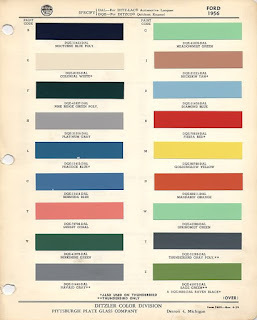 I think that's a pretty strong collection of mid-century paint colors for any mid-century modern painting you might be doing. I like Rejuvenation too. I think it's a very cool site. I had a bedroom when I was a kid that was very similar to Springmist Green. My parents must have secretly liked Thunderbirds (even though they always bought my grandparents' used Chevys).